A box containing two babies' ashes has been stolen in a burglary leaving the victim "heartbroken". 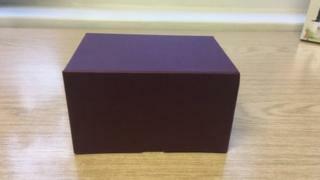 The box, which contained ashes of twins who died at birth, was stolen from a property in Castlegate in Richmond, south-west London, on Monday between 14:00 and 17:00. The maroon box measures 13cm by 8cm by 9cm and was taken along with jewellery. Det Con Rajinder Chana said the victim desperately wants her children's ashes returned. "They are of no value to those who stole them, and we would ask that they be returned as soon as possible," he said. "Burglary is a particularly invasive crime but this offence has been made worse by what was taken." The suspects are believed to have forced entry via a side gate and rear patio door.